Spanish offshore industry player Siemens Gamesa Renewable Energy (SGRE) has unveiled a giant new 10+ MW wind turbine it claims will boost yields by 30 per cent, paving the way for a new generation of super-charged offshore wind farms.The turbine maker said in a press release that the new SG 10.0-193 DD is set to hit the market in 2022.Based on the experience of its previous generations, the newest wind turbine in the SGRE offshore product portfolio builds on proven technology for maximum energy yield at all wind speeds. Rolls-Royce said it has won an order to deliver its first EPA Tier 4-compliant propulsion systems from MTU to WETA (Water Emergency Transportation Authority) for installation in three brand-new catamaran ferries. 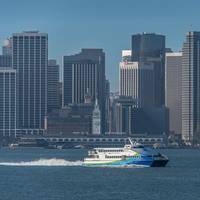 The first of the three high-speed ferries is expected to enter service on the San Francisco Bay in late 2018. The San Francisco Bay is subject to special environmental protection. “Our goal is to operate a ferry service that is sustainable, cost-efficient and eco-friendly,” said Nina Rannells, WETA Executive Director. Rolls-Royce. The words have been used by many to signify excellence – though not with the company’s permission, of course. 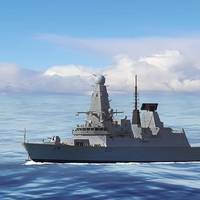 Rolls-Royce Marine is taking a leading position in developing and introducing the systems and technologies needed for the running of a successful business in the maritime industry of the 21st century. 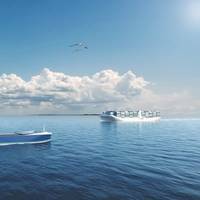 At a company presentation held in London earlier this year, Mikael Mäkinen, President of Rolls-Royce Marine, outlined the company’s vision for the future and its strategies to put these new systems based on new technologies into place. WE Tech Solutions said it has received an order to deliver its permanent magnet shaft generator solution to two new 18,600 dwt chemical tankers with an option for another two. 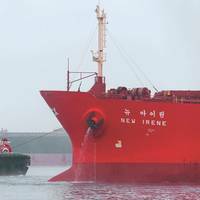 The tankers are built by China State Shipbuilding Corporation (CSSC) Chengxi Shipyard for the Swedish ship owner Ektank AB. WE Tech’s equipment delivery to Hudong Heavy Machinery Co., Ltd. will commence in October 2017. WE Tech’s solution is based on variable frequency drive technology (WE Drive) and the direct drive Permanent Magnet Shaft Generator. 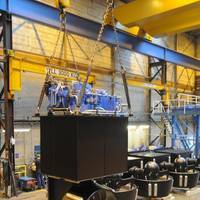 The solution allows the main engine to run at variable speed while the electrical network is generated by the Shaft Generator. Therefore, there is no need to run the auxiliary engines or generators when sailing. 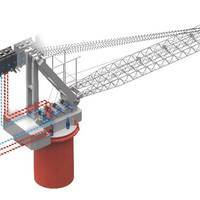 WE Tech Solutions (WE Tech), an energy efficiency solutions provider in the marine industry, and The Switch, a technology specialist of permanent magnet machines for advanced marine drive trains, have been chosen to deliver their permanent magnet shaft generator solution to Australian Toll Shipping for a series of two 12,000 dwt RORO vessels. The Sinotrans & CSC affiliated Jinling Shipyard in China will build the ships. Delivery of advanced equipment solution from WE Tech and The Switch will commence in August 2017. WE Tech said it has received an order to deliver its permanent magnet shaft generator solutions to a series of four fuel efficient ROPAX ferries, with an option for another four. The vessels are to be built for the Swedish shipping company Stena RoRo at AVIC Weihai Shipyard Co., Ltd. in China. 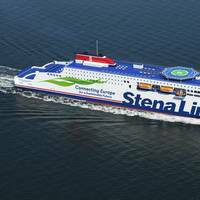 The four initial vessels will be operated by Stena Line within its route network in Northern Europe. 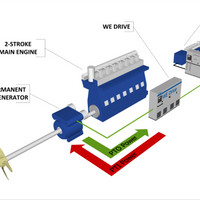 “WE have developed the most energy efficient shaft generator solution to reduce the fuel consumption, operational costs and environmental footprint. Customer approval in powertrain technology depends specifically and to a great extent on the reliability and robustness of the facilities and in particular on their individual components. These include the gearbox and gear wheels of the specialist transmission manufacturer, C u. W Keller GmbH & Co.KG (KELLER). The high customer requirements can be met by the custom made gearbox manufacturer Keller with its experience in the design and manufacture of gear wheels and gearbox that spans more than 100 years. ZF Marine supplies propulsion system components for yachts, defense craft, high-speed ferries, workboats and commercial vessels, in a power range from 10 to 14,000 kW. The product portfolio includes a comprehensive range of transmissions (reversing, non-reversing and hybrid), propellers POD-drive systems, steering systems and CANbus-compatible, electronic control systems, azimuth thrusters, tunnel thrusters, bow thrusters and sail drives. ZF Marine is a global leader in marine propulsion technology. 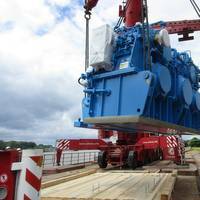 The Switch, a specialist of megawatt-class permanent magnet (PM) machines for advanced marine drive trains, has been selected to deliver its PM shaft generator for an LNG carrier with a 45,000 cubic meter cargo capacity, allowing the vessel to gain greater efficiency over its entire speed range. This order is part of a complete energy efficiency system being delivered by WE Tech Solutions (WE Tech) of Finland to Saga LNG Shipping Pte. Ltd. The vessel will be built by China Merchants Heavy Industry Co., Ltd. 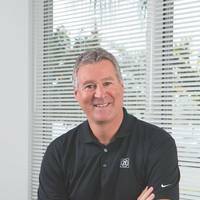 The Herne-based company VULKAN Kupplungs- und Getriebebau Bernhard Hackforth GmbH & Co. KG announced it has been under new management since March 2016. Under the new management scheme, Dr. Achim Brodde and Dipl. Ing. Dieter Klitzke will work together to steer the fortunes of the global coupling manufacturer. Dr. Brodde, who has also been Managing Director of VULKAN Lokring Rohrverbindungen since 2007, is taking on responsibility for the fields of Production, Quality Management and Engineering & Application. 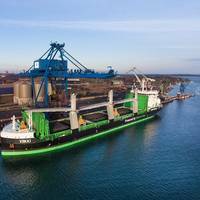 Klitzke will head up the business area VULKAN Couplings and is therefore also responsible for global sales activities in the field of maritime drive technology and energy generation. 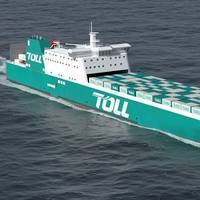 The new management duo is replacing Dr.
Siemens has been commissioned to provide the complete electro-technical solution for Finland’s first battery-powered car ferry. The Finnish shipping company FinFerries has ordered the newbuilding from the Polish shipyard CRIST S.A. 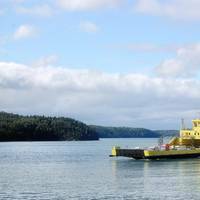 The environmentally-friendly ferry will improve the transport options between Nauvo and Parainen in the Turku Archipelago. It will be approximately 90 meters long by 16 meters wide with capacity for a maximum of 90 cars. Operation on the 1.6 kilometer-long route will begin in summer 2017. 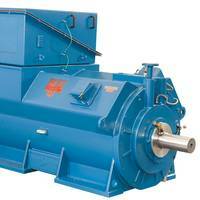 Propulsion evolves, improves and powers forward in the inland markets. And, Z-Drive propulsion is the future. In a white paper released late in 2014 by The Shearer Group, Ed Shearer and Greg Beers outlined The Next Generation of inland vessels, what will drive design changes and the advantages of azimuthing stern drives – or ‘Z-Drives,’ for short. The authors point out that, until recently, towboats on all the inland waterways and Gulf Coast have traditionally been built using main engines connected to reduction gearboxes connected to long drive shafts passing through the towboat hull. Seamen’s Church Institute (SCI) launched an initiative on December 10, 2014 aiming to transform training for America’s inland mariners at its Center for Maritime Education in Paducah, KY. The day before its 15th Annual River Bell Awards ceremony, the Seamen’s Church Institute (SCI) pushed the proverbial boat out on a new era of maritime education. 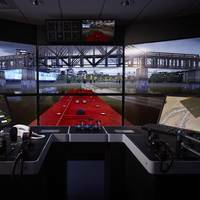 In prior months, SCI had installed new simulators and renovated the hospitality areas at its Center for Maritime Education in Paducah, KY. The official dedication of the refurbished Center on December 10 revealed SCI’s blueprint for preparing a new generation of mariners for safe operations on American waterways. WEG, a supplier of drive technology, introduced its water-cooled WGM motors to the shipbuilding industry for the first time at SMM 2014. The WGM water-cooled induction motors are compact, offer low noise emissions, provide optimal heat dissipation and are suitable for frequency inverter operation. As such, they are suitable for a wide variety of applications on ships or offshore platforms including drive systems for main or maneuvering propulsion, and for pumps or fans. WGM motors are cooled by a water jacket consisting of tubes or a cavity filled with water.